Each level is attained by acquiring the required number of European Credit Transfer System (ECTS) credits. The academic year is divided into two semesters, and the validation of one semester is equivalent to 30 ECTS credits. The number of credits accumulated at the higher education level depends on academic workload, number of course hours and course objectives. Classes: University classes generally start during the month of September and finish in May/June just before the end-of-year exams. Semester: Each academic year is divided into two semesters. The subjects taught are grouped into teaching units (UEs, for ‘unité d’enseignement’) that include lectures, tutorials (TD, ‘travaux dirigés’) and practical work (TP, ‘travaux pratiques’). Grading System: In France, grades range from 0 to 20. 0 is the worst grade and 20 is the best. You need a minimum 10 out of 20 to pass. Final exams (oral and written) that are taken in one go at the end of each semester. At Bordeaux Sciences Agro we offer French classes during the winter and spring semesters. 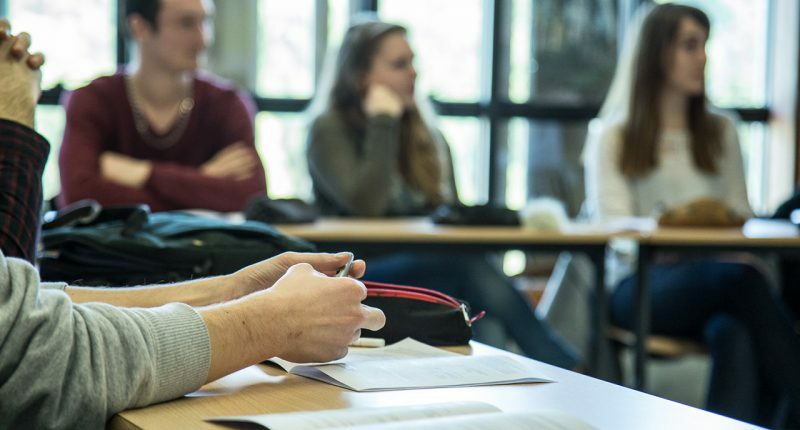 The French language classes provide international students with intensive training in French as a Foreign Language to allow them to develop the scientific and technical vocabulary necessary to succeed in their course work.